When your home decor needs a hint of magic, come check out the delightful wizard statues and collectibles that we carry here! Conjure at your own risk around these powerful sorcerers, many of whom are shown next to dragon familiars or holding a magical staff. In addition to friendly magicians and dark wizards, we offer a number of unique pieces like wizard trinket boxes shaped like owls on spell books or skulls resting atop magic texts. 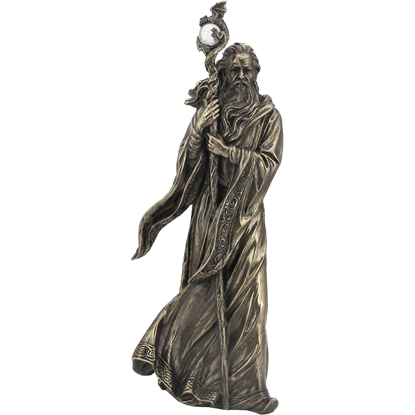 We also have LED wizard statues to add a mystical glow to your home and letter opener wizard statues for a functional twist on the usual design. Many of our pieces are carefully crafted from cold cast resin or bronze and then hand painted in exquisite detail. 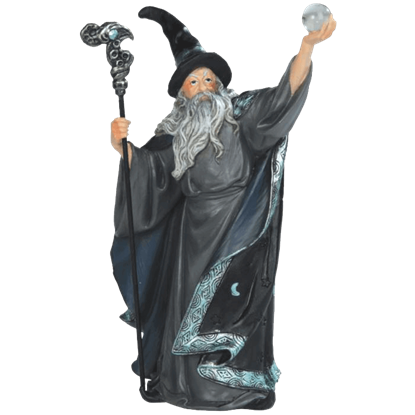 Pick up one of our Merlin or fantasy wizard statues for an enchanting home decor piece you are sure to love! Magic and mysticism are commonplace in fantasy, and it is the wizened elders who wield it with the greatest skill. 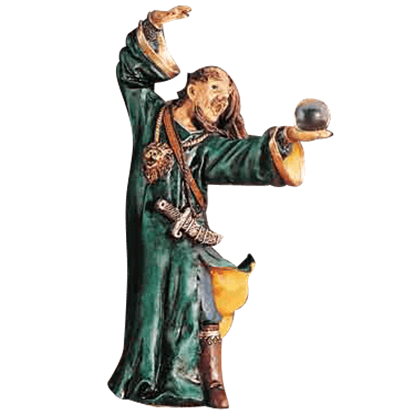 In this Black Robed Wizard Statue, anyone can witness a master of the arcane arts as he works over a crystal ball. 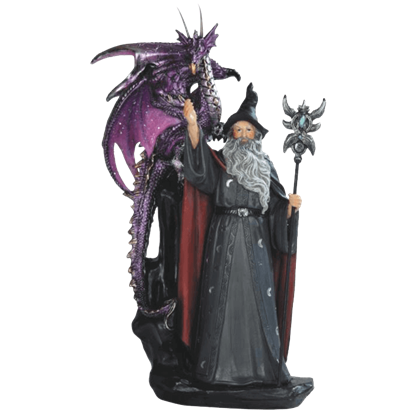 Wizards are best left unquestioned, because you never know what sort of tricks they might have up their sleeve, or, in the case of this Dark Wizard and Dragon Statue, what sort of guardians might be lurking over their shoulders. While Merlin is often depicted as a mystical, elderly wanderer, the Arthurian legend has also been known as a wizard of evil sorcery. 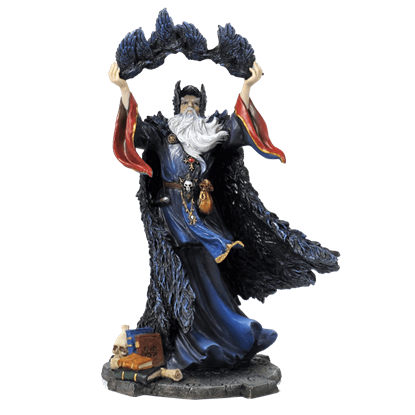 This Dark Wizard Merlin Statue displays the iconic magician with a unique and eye-catching design. A wizard is an iconic element of high fantasy, and not only does this Fantasy Wizard with Crows Statue depict the classic wielder of magic, but it depicts him as he casts a spell, resulting in the release of a murder of crows. As the mighty wizard holds the orb aloft, a prophecy is revealed. 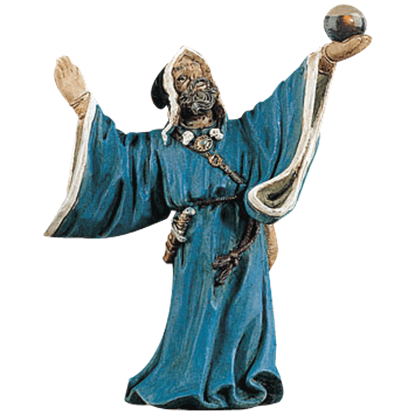 The Fortune Teller Wizard Statue displays a unique mage dressed in robes of blue and holding a small orb. This fantasy statue is made of high quality cold cast resin. Behold the wizard as he wields his magic through an enchanted orb! The Medieval Wizard Statue, made of high quality cold cast resin, depicts a bearded wizard in robes of yellow and green holding a small orb in his outstretched hand. 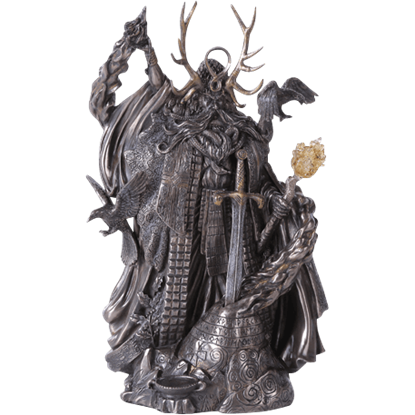 The legendary wizard from the tales of King Arthur and the Knights of the Round Table, Merlin is portrayed in amazing detail while holding a dragon-decorated staff in the design of our eye-catching Merlin Statue. 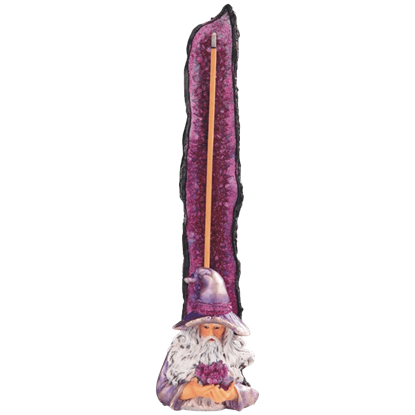 Channel your inner magic every time you light a new stick of incense when you have this Purple Wizard Incense Burner! Made of high-quality cold cast resin, this vertical incense burner is hand painted in spectacular purple hues. 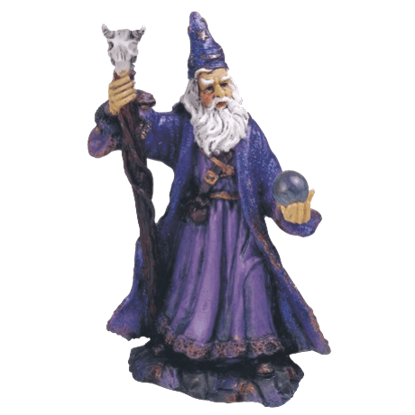 The Purple Wizard Statue is a great accent to display in your medieval room. This statue features a wizard in a purple robe and cape standing on a stone platform. He holds his staff in one hand and his crystal ball in the other. Make your home seem as touched by magic as if a wizard resided with you. 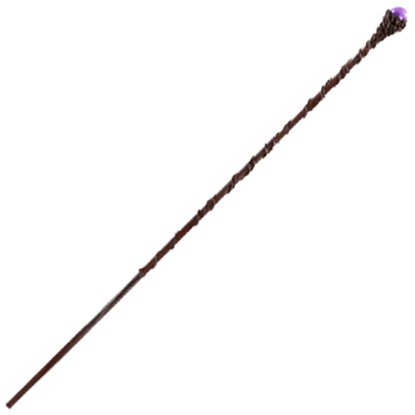 The decorative Sorcerer Staff Statue, made of cold cast resin, is extraordinarily detailed to look like an ancient wooden spell casting tool adorned with a purple orb. The mystical arts grant sorcerers many arcane powers that they can use to affect the natural world. 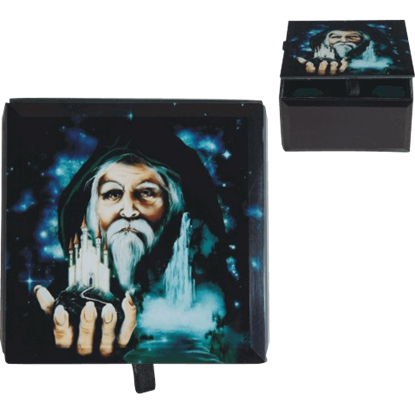 The Summoning Wizard Trinket Box displays a wizened magician as he holds out his hand, creating a vision of a far off castle. Wise and powerful, wizards serve as guides, teachers, advisors, and guardians in the many worlds of fantasy. 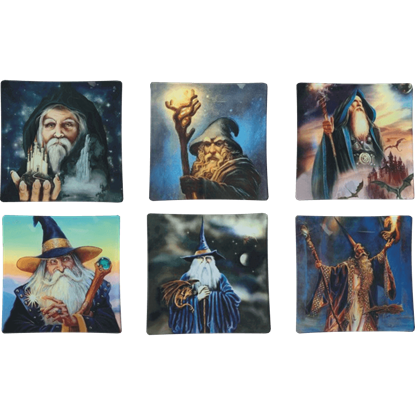 The Wizard Decorative Tiles 6 Pack displays gorgeous fantasy art featuring these enigmatic and temperamental figures. I just placed an exchange order over the phone with your representative, Melissa, and she was extremely helpful and friendly. Good customer service is often hard to come by, but she was excellent. Kudos, and thank you!